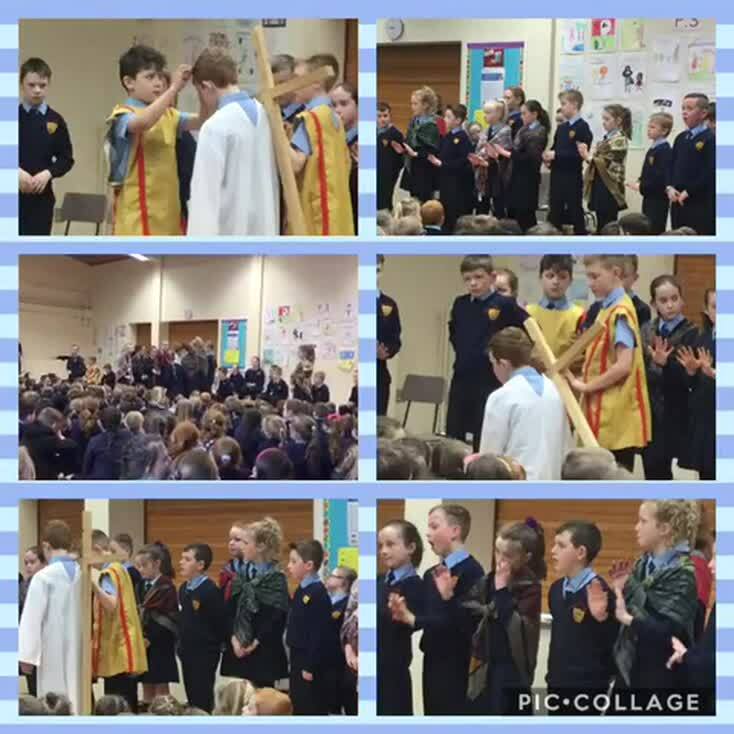 Congratulations to the Primary 5 children who commemorated Jesus’ solemn Passion of the Cross at their assembly today. 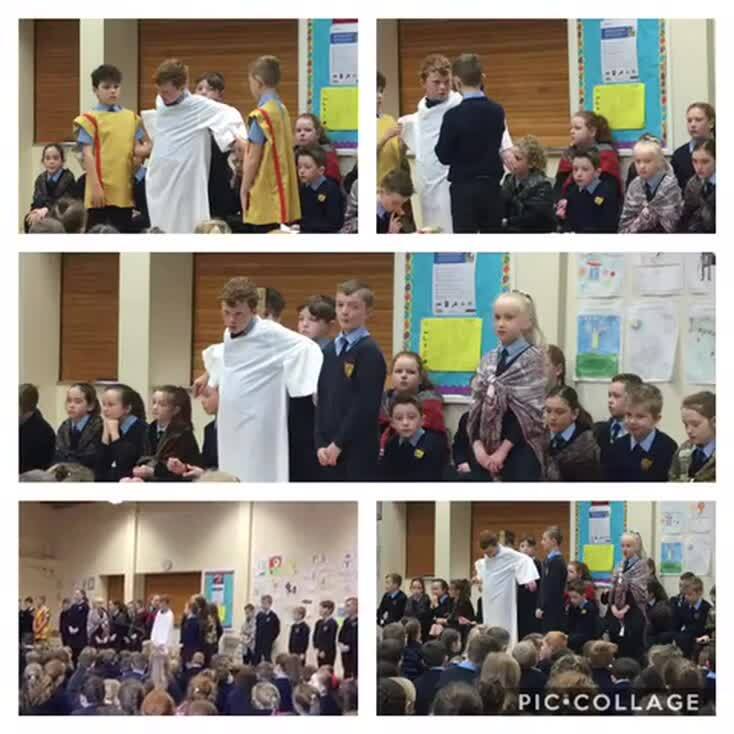 They led a very moving 15 step devotion which began with Jesus’ condemnation through to his body being placed in the tomb. 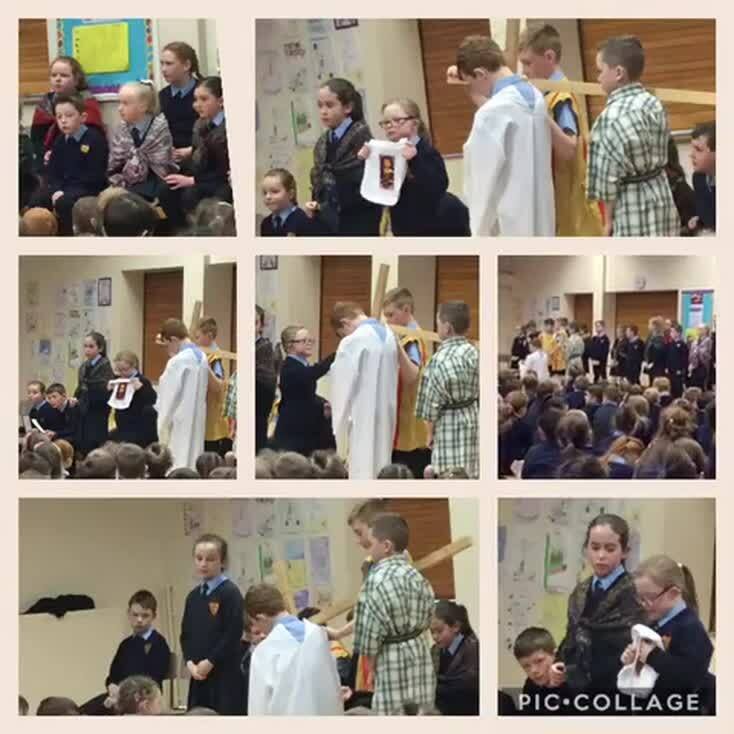 The children all recalled their words, prayers, actions and singing so well. We were very proud of them. Many thanks to Mrs McMahon for adding to the atmosphere with her beautiful music.